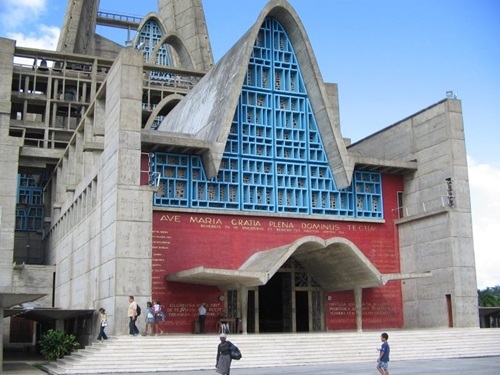 The city’s main tourist attraction is its Basilica, a large modern cathedral built in the honour of the Virgen de la Altagracia, patron saint of the Dominican Republic. If time permits, it is worthwhile to visit the rest of the city and explore Higüey’s colourful small streets,;eat the local cheese, go into a colmado (grocery shop), visit the local market and buy some local fruit and perhaps stop for a glass of beer (Bohemia or Presidente are the local brands). Visitors may also wish to visit the largest supermarket in Higüey and purchase Bon Marmalade, Santo Domingo coffee, Brugal, Bermudez or Barcelo rum, or stop by a Bon ice cream shop for tropical sherbets. Located in San Rafael de Yuma, a detour south of the road that leads from Higüey to La Romana. Ponce de Leon, the famous explorer of Florida lived in this house with his wife and three daughters when he commanded the east of the country for the Spanish conquistadors back around 1505. The explorer set sail from Boca Chica to colonize Puerto Rico, and then Florida. Near the Ponce de Leon house is the fishing town of Boca de Yuma, a great place for fresh fish. Past expansive fields of shoulder-high sugar cane, visitors will come to La Romana, a city built and maintained by the sugar mills. The smell of the sugar production fills the air with the sweet smell of molasses. However, the main attraction of the region is Altos de Chavón, a re-created 15th century Italian-Spanish village which lays beside the beautiful Chavón River. 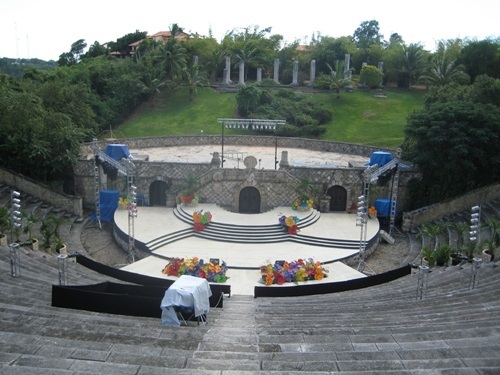 When it was founded in 1981, Altos de Chavón was declared “an artists’ village” by its creators who built it to promote fine and applied arts. Its old world cobblestone streets and quaint architecture conceal charming shops, fine restaurants and intimate bars. The village includes artisans workshops, a church, a vast amphitheatre, an archaeological museum, and a university specializing in design. 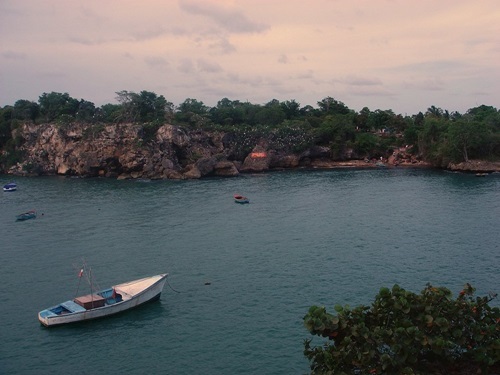 It’s adjacent to Casa de Campo, one of the most famous and expensive resorts in the Caribbean. Several hotels offer excursions to Los Haitises National Park, a sanctuary for nature lovers and those interested in natural history. The underground rivers flow through caves filled with pre-Columbian drawings and petroglyphs – a silent testimony to the native population who lived here for centuries before the arrival of the Europeans. Be sure to visit the Cueva de la Linea (Ferrocarril) and the Cueva de las Arenas. The boat trip to get to these caves located off San Lorenzo Bay will take you through the largest system of mangroves in the Caribbean. 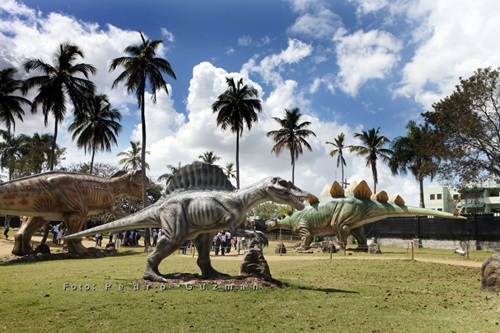 Another interesting place to visit in the area is the Paraiso Caño Hondo river center. Tours to Los Haitises cost around US$ 70 to US$ 110 per full day day. Isla Saona is a fairly large island off the coast of La Altagracia province. It has a quiet fishing village with friendly locals who now how to cater to thousands visitors. The trip may be taken by catamaran, big tourist boat or small motor boat – the boats generally leave from Bayahibe. If you are lucky, dolphins will swim along with you. 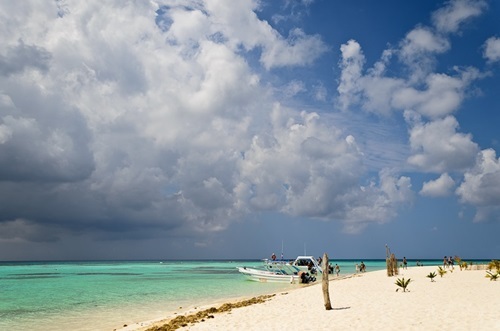 Many tourists visiting Punta Cana take a speedboat excursions to the village of Mano Juan and the white sanded beach of Palmilla. A memorable side trip north from San Pedro de Macorís to Hato Mayor will reward the entire family with one of the largest horticultural centers in the Caribbean. Tropical Plantation is a working plant nursery that displays scores of exotic species – bromeliads, anthuriums, orchids and other plants grow along challenging labyrinthine paths. Complementing their intense colors, fragrance and beauty is an aviary with the island’s native birds and a vast butterfly enclosure. Also in Hato Mayor, adventure lovers may book an underground excursion to the Rancho Capote and its Cueva Fun Fun), the longest underground cave in the Caribbean. It is shallow and seven kilometres long. Experience the giant corridors, the cave art, and the magic whisper of the subterranean rivers. The excursion starts with a horseback ride and then walk through the jungle and the cave, and ends with a well-deserved lunch. The owners of the ranch are one of the country’s leading orange growers so expect delicious fresh orange juice with lunch. Santo Domingo, with a population of three million in its environs, is the first city in the New World settled by the Europeans, and boasts a charming colonial zone and some of the best nightlife and dining in the Caribbean. You can check more about Santo Domingo at Wikitravel or at Frommers for example.